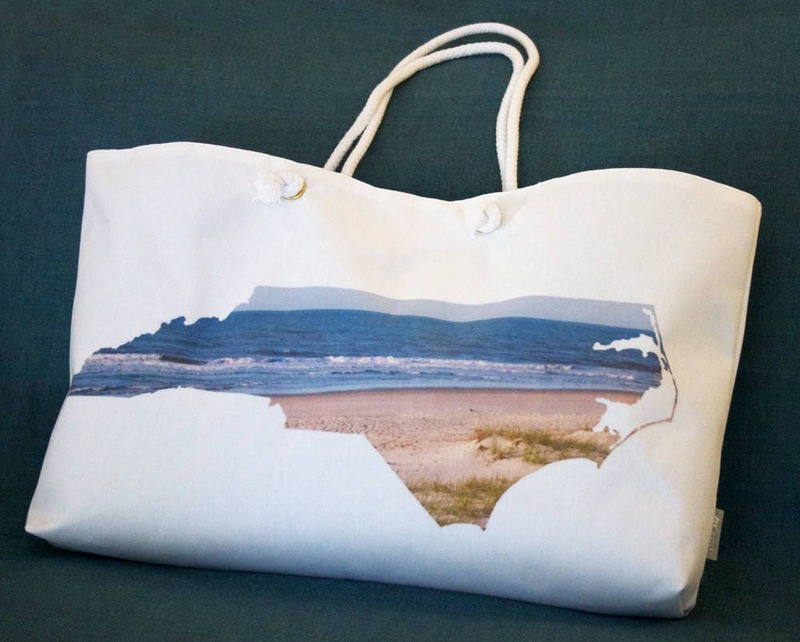 Show your love of North Carolina everywhere you go with our state shape photo weekender tote bag! 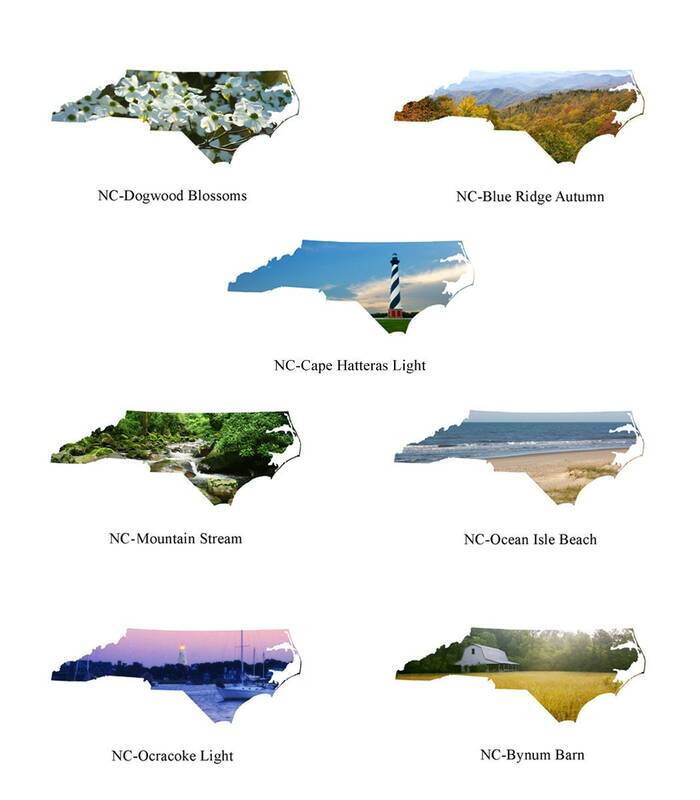 Choose from among six different photographic designs, celebrating the Old North State from the mountains to the coast. Our 24x16" tote bags are crafted with soft, spun poly-poplin fabric and feature double-stitched seams for added durability. The 1" thick cotton handles are perfect for carrying bag by hand or over your shoulder.